Participatory painting on raw canvas. Join me Mar 7th at Duke University’s Center for Documentary Studies to talk more about how we can create art that shifts and equalizes our community. (I’ll be speaking!) The Keynote Speaker is Marit Dewhurst! Mudra Flower Shower: Celandine (seeing and knowing one’s highest thoughts), 2014. 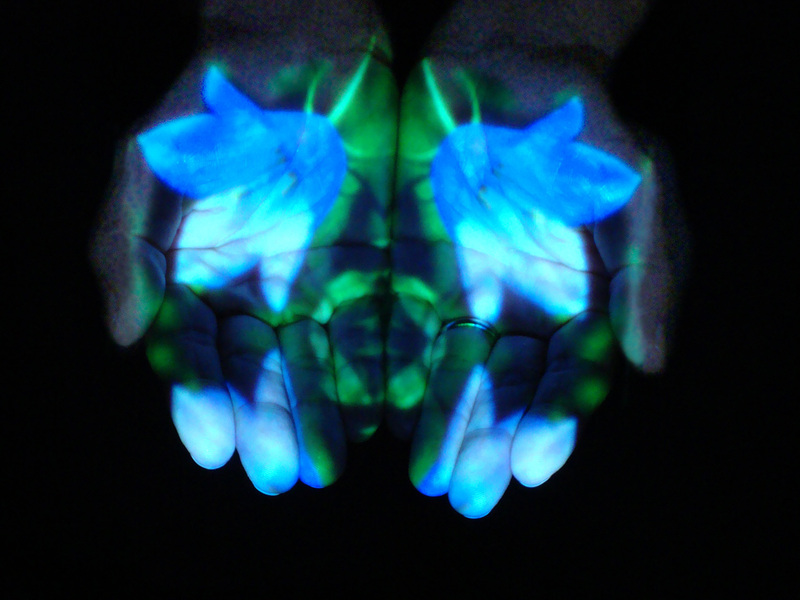 Series of edition photographs incorporating projected flower mandalas into hands held in mudras. Mudra Flower Shower: Chamomile (presencing sunlight, equanimity), 2014. Mudra Flower Shower: Baby Blue Eyes (restoring trust in the goodness of the world), 2014. Mudra Flower Shower: California Wild Rose (catalyzing love for human life and the Earth), 2014. Mudra Flower Shower: Dandelion (alleviating muscle tension from over-striving), 2014. Mudra Flower Shower: Dogwood (healing physical body by expanding etheric body), 2014. Mudra Flower Shower: Echinacea (restoring intrinsic dignity to our relationship with humanity and the Earth), 2014. Mudra Flower Shower: Harebell (freedom from fear to sense the entire universe as home), 2014. Mudra Flower Shower: Pink Mimosa Mariposa Lily (finding the archetypal mother within), 2014. Mudra Flower Shower: Pink Mimosa (integrating soul and ego regardless of influences), 2014. Mudra Monument: Collaborating Through Time, 2014. This image is from a series of concepts I have devised with artifacts from various public institutions. It is part of a virtual proposal for the series. Queens Museum Panorama of the City of New York. Raymond Lester & Associates, NY, NY 1961-63. 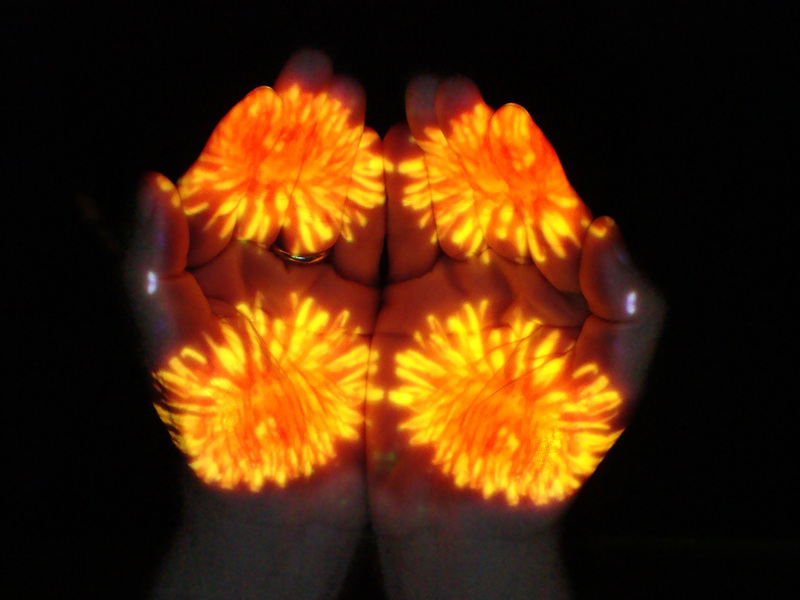 Flower mandalas made from light projected into hands wreathe the crown jewel of all tableaux for conceptualizing New York City. This series of mudra and flower images is meant to encompass the city in diorama as an offering of protection and love. The proposal is for the series Mudra Monument: Collaborating Through Time to happen simultaneously across the 5-boroughs.